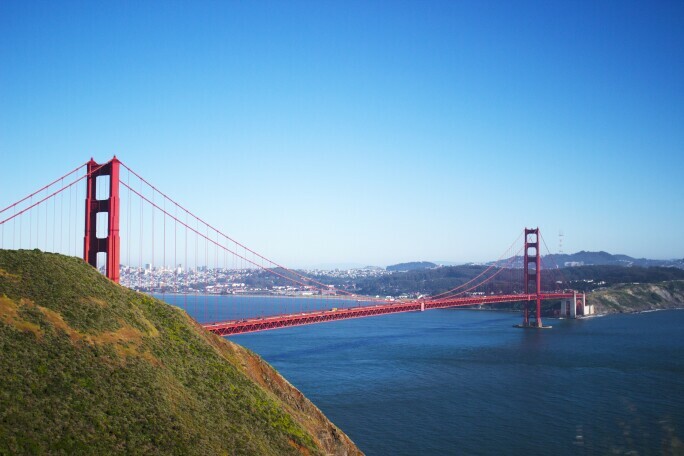 The Bay Area has long been a hot-spot for free thinkers. In a city where innovation and creative talent are held in the utmost esteem, it is not just the tech industry reaping the benefits of innovation. San Francisco boasts a vibrant arts scene made all the more rich by the diversity of cultures that call the Bay Area home. 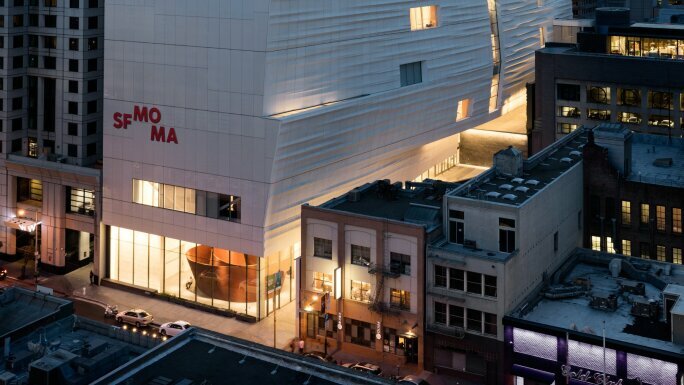 Its standing as a major arts and culture destination has been reinforced in recent years with the reopening of the expanded San Francisco Museum of Modern Art (SFMOMA) in 2016. This, in tandem with an influx of new and established commercial galleries opening spaces in downtown San Francisco and the growing number of art fairs being staged in the city - such as Fog Design + Art, Untitled, and Art Market San Francisco - have placed the city by the bay on the map for art lovers everywhere. With its slick new extension by the Norwegian firm Snøhetta, the San Francisco Museum of Modern Art (SFMOMA) is currently bigger than New York’s Museum of Modern Art. SFMOMA has 170,000 sq ft of exhibition space to display its Modern and contemporary art collection, which includes pieces by all major 20th- and 21st-century artists such as Alfred Stieglitz, Robert Rauschenberg and Jackson Pollock, who had his first solo museum show at SFMOMA in 1945. 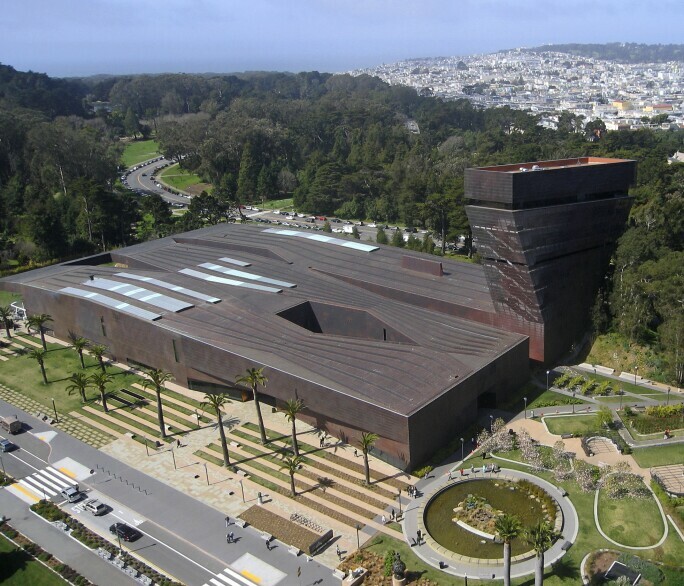 Founded in 1895, the de Young takes its name from the newspaper tycoon Michael Henry de Young. Its American art collection, which includes the Rockefeller bequest of more than 100 paintings, drawings and sculptures including Frederic Edwin Church’s painting Twilight (1858), is said to be the most comprehensive in the American West. 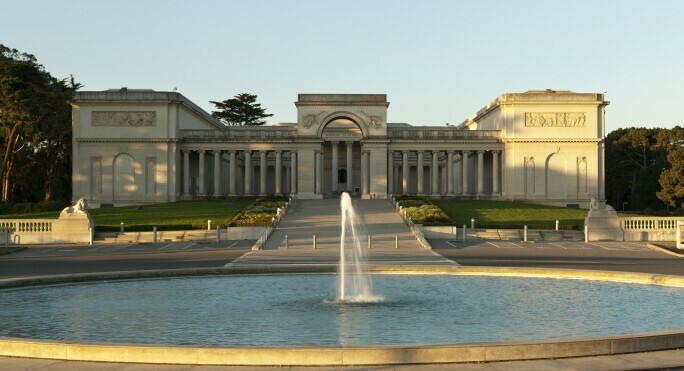 The de Young and the Legion of Honor form the Fine Arts Museums of San Francisco. The Legion of Honor, completed in 1924, is a replica of an 18th-century Neo-Classical palace in Paris of the same name. 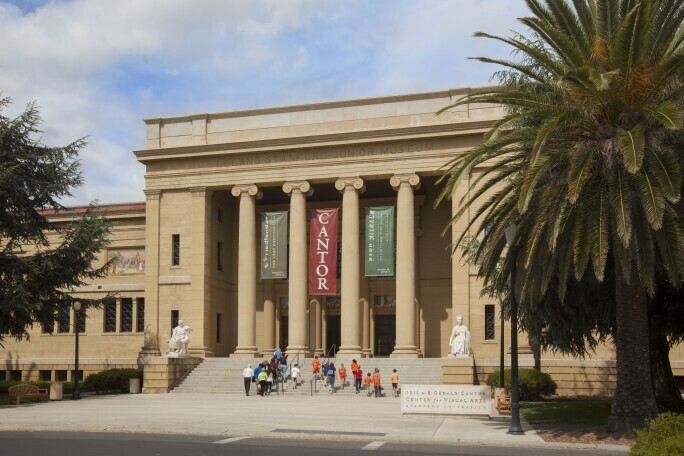 A gift to San Francisco from the sugar baron Adolph B. Spreckels and his art patron wife Alma, it houses a significant collection of ancient and European art including the museum’s most emblematic work, Rodin’s The Thinker. Having outgrown its dedicated wing at the de Young, the Asian Art Museum moved its 18,000-strong collection of historic and contemporary Asian works into its current Beaux Arts building in 2003. 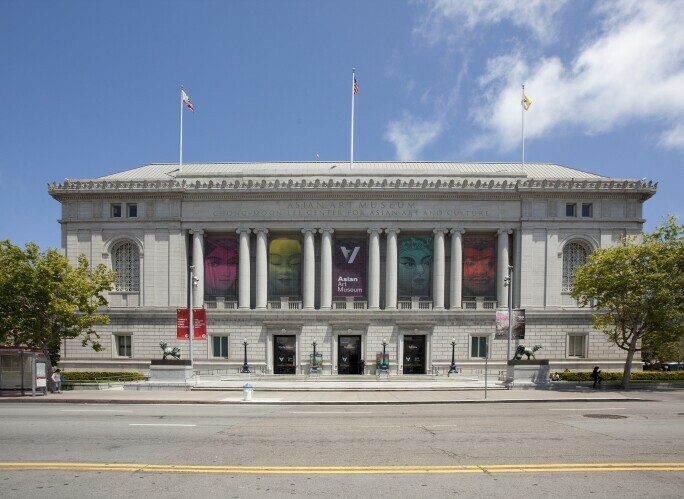 San Francisco’s very own kunsthalle, the Yerba Buena Center for the Arts is a cutting-edge arts hub offering a consistently eclectic programme of exhibitions, film screenings and performances. Housed in an early 1900s power substation revamped by the award-winning Polish-American architect Daniel Libeskind, the non-collecting Contemporary Jewish Museum presents a wide array of exhibitions celebrating Jewish history, arts and culture. CCA Wattis Institute for Contemporary Arts is a research and arts centre established in 1998 at the California College of the Arts to present work by international emerging and established contemporary artists. David Ireland’s home, complete with a blowtorch chandelier and a wire sculpture in the shape of Van Gogh’s ear, is the late Bay Area conceptualist’s greatest work of art. 500 Capp Street opened in 2016 as a contemporary art space. Across the Bay in Berkeley, the Diller Scofidio + Renfro-designed UC Berkeley Art Museum and Pacific Film Archive has a diverse art and film collection – from Ming-dynasty paintings to the best of Soviet-era cinema. In the heart of Silicon Valley just south of San Francisco, the Iris and B. Geral Cantor Arts Center for Visual Arts and the Anderson Collection at Stanford University boasts two significant art collections: a choice selection of Modern and contemporary works by American artists such as Jackson Pollock and Sean Scully assembled by the Anderson family as well as 38,000 works spanning more than 5,000 years from the collection of the Iris and B. Gerald Cantor Arts Center for Visual Arts. 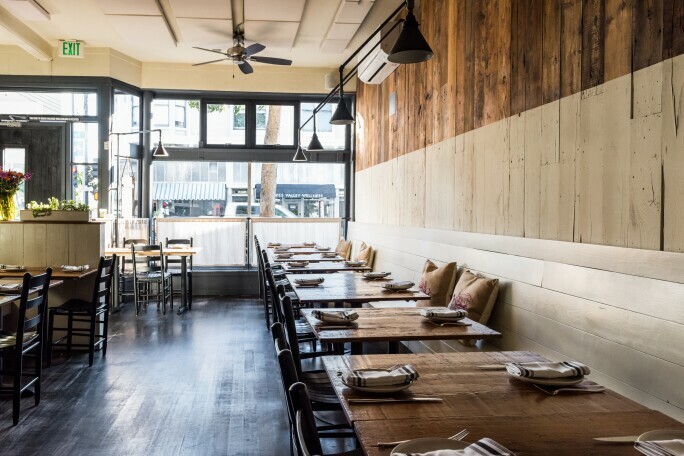 Enjoy regional cuisine with family style options such as spaghetti with peas and ham in a typical laid-back Northern California atmosphere at this Hayes Valley eatery run by chefs Evan and Sarah Rich. Don’t forget to save room for the porcini doughnuts. Mexico City chef Gabriela Cámara’s popular menu includes a variety of fresh seafood and vegetable dishes. For those wanting a taste of Mexican street food, go behind the restaurant to Cala’s taqueria where diners can feast on tacos de guisado made with homemade tortillas. No visit to San Francisco is complete without dim sum and this family-run restaurant serves up some of the city’s tastiest examples of this Chinese fare delivered to your table on an endless stream of rolling carts. 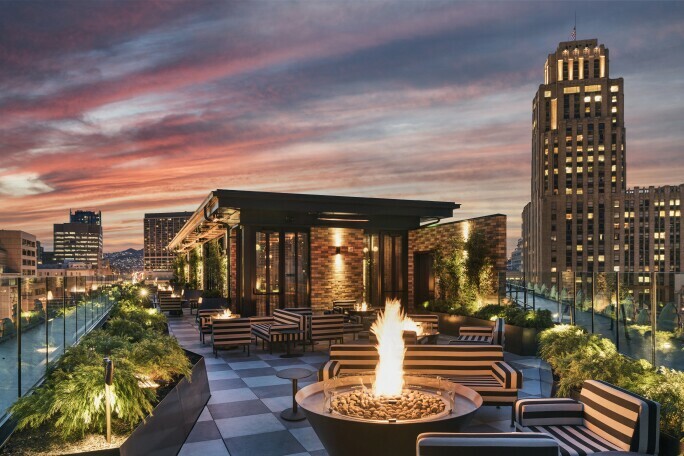 Take in the stunning views at this rooftop bar and lounge overlooking Market Street, where cocktails such as Cage Radler and We Can’t Go Wrong live up to their names. The heated patio makes this watering hole at the Hotel Zelos an inviting go-to spot all year round. Several varieties of punch bowl cocktails with names such as A Buddha’s Ritual are available for parties of four or more. This North Beach hotspot is a great place to enjoy a cocktail and tapas on a weeknight. Or stop by for a boozy Sunday brunch, where 15 Romolo’s motto is “with no drink in hand, brunch is just breakfast”. 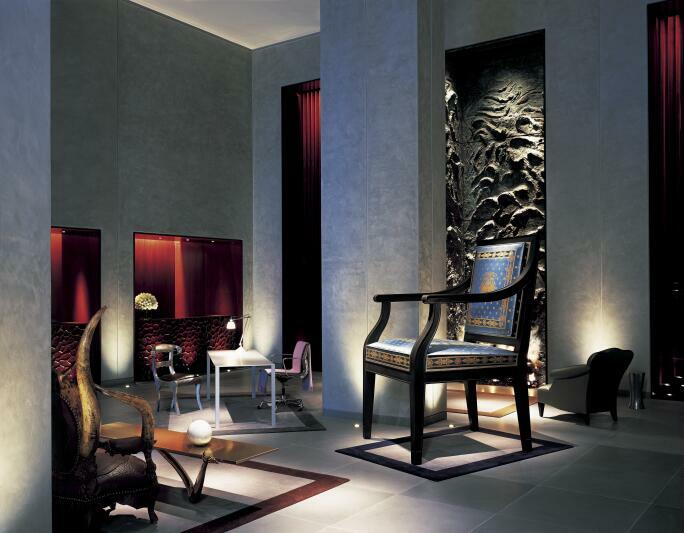 Minutes from Union Square, this boutique hotel designed by Philippe Starck has an interesting collection of artist furniture, including a coffee table by Salvador Dalí. If you have deep pockets and luxury and old-world glamour are at the top of your wish list, then the Palace Hotel, established in 1875, is a safe bet. Taking tea under the spectacular stained-glass dome of the double-colonnaded Garden Court is like stepping back in time. The amazing waterfront views at this luxury boutique hotel make it an ideal place to catch New York artist Leo Villareal’s The Bay Lights, a permanent nightly light installation on the San Francisco Bay Bridge. Parking in San Francisco can be a nightmare, so it is advisable to choose one of the city’s many modes of public transportation whenever possible. The transport app Citymapper is particularly helpful for this. While the BART (Bay Area Rapid Transit) subway system is handy for traveling to the East Bay or from the San Francisco airport to downtown (a one-way trip costs around $10), its service within the city itself is limited. Within San Francisco proper, your best bet is to use the Muni system of buses, trains and the city’s most iconic mode of transportation – cable cars. A one-day visitor pass costs $22; a three-day pass is $33. Ride-sharing services such as Uber and Lyft (both got their start in San Francisco) are also popular options, especially during rush hour when hailing a taxi is often an exercise in patience and perseverance. Keep up-to-date with all of the latest Museum Network news.